When I studied Spanish in high school, we had an assignment to write a recipe and present it in class. One of the recipes was for Homemade Ranch Salad Bandage – you know, that white stuff you put on a salad when it skins its knee. Yes, they actually meant salad dressing. But guess what. The English-to-Spanish dictionary entry for “dressing” listed venda (wound dressing) first. That dictionary, just like a thesaurus, didn’t include any definitions. And high school students are prone to copying down the first word they find. How many times have you seen a sentence that uses the wrong word, and the wrong word is a thesaurus synonym of the right word? I see this all the time. It often happens when the right word has already been used in a previous sentence. I understand the desire to avoid repetition, but repetition is better than not making sense. 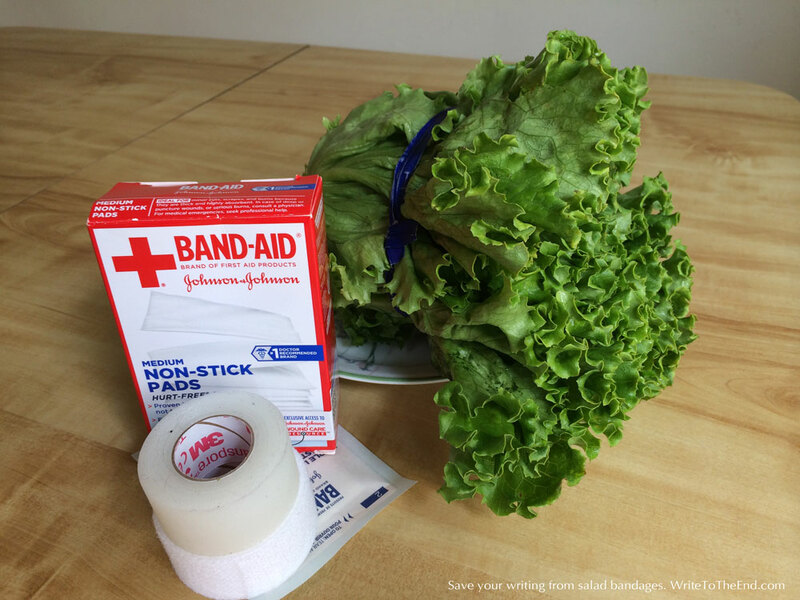 Okay, usually the wrongness of the word isn’t as terrible as “salad bandage,” but still. Don’t you want to say what you mean? You have the power to keep your writing free of salad bandages. All it takes is a dictionary.